Earlier this month Paramount announced that it would release two upcoming films on home video and streaming just 17 days after they’ve been in theaters. But Regal, the nation’s largest movie chain, isn’t interested in being part of its piracy-fighting experiment. Regal Cinemas made it clear on an earnings call yesterday that it wouldn’t be participating in Paramount’s new release window shortening program. Despite the fact that Paramount is offering theater chains some incentives like a cut of the profits from iTunes and streaming revenues. Two Paramount movies slated for October release, Paranormal Activity: The Ghost Dimension and Scout’s Guide to the Zombie Apocalypse, will be available to consumers digitally two weeks after they premiere in theaters. 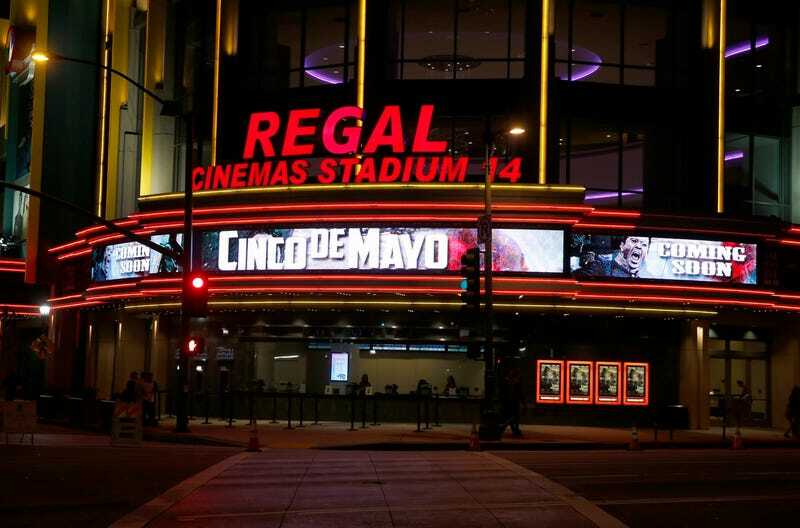 But with Regal out of the deal, you’ll have to catch those films at an AMC theater. “The parameters of the current proposal, both economic and structural, simply do not make sense for us given the potential risks to the long term health of our business,” Regal CEO Amy Miles told the Wall Street Journal. From Paramount’s point of view, the long-term success of an experiment like this hinges on buy-in from chains like Regal. Paramount had reportedly hoped to eventually try a two-week home release model for some of its biggest franchises like Star Trek and Mission Impossible. But that’s looking less likely without the country’s largest movie theater chain involved. Only time will tell whether Paramount’s experiment will be a “success,” but it’s easy to see why major theater chains like Regal are skeptical. Fewer people are going to the movie theater, but the chains are making up for that by charging higher prices, especially for 3D and IMAX releases. If the theaters allow a two-week window to become the norm and they take a cut of digital release profits, who’s to say that studios like Paramount won’t one day pull the profit-sharing rug from under them?